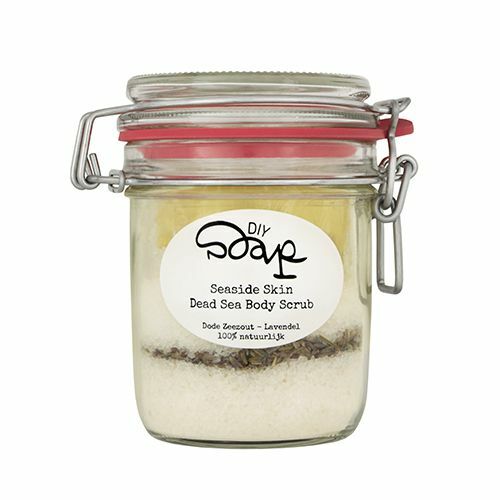 Enjoy the relaxing and healing action of this 100% natural Seaside Skin Dead Sea Body Scrub. Dead Sea salt is rich in minerals and the unique composition it is suitable for dry, flaky and / or problematic skin. 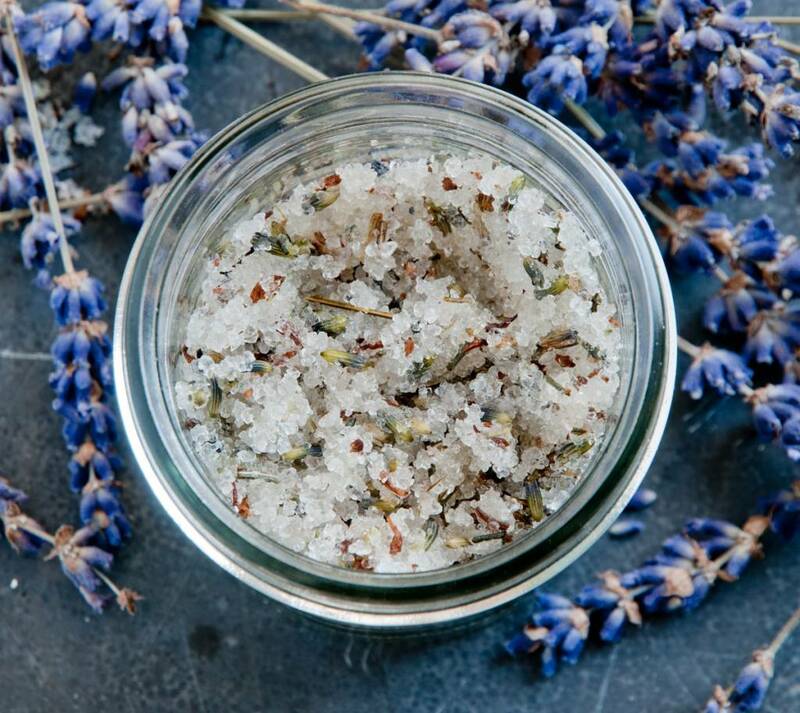 Dead Sea salt soothes the skin, provides deep cleansing effects while stimulating the removal of waste. Almond oil nurtures and nourishes the skin. 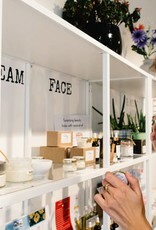 The addition of lavender flowers and lavender oil provides a calming and relaxing effect. The scrub is very easy to make and comes in a beautiful glass-preserving jar. Preparation time: 1 minute. Requirements: spoon. Note: Do you have sores on your skin? When you scrub it on your skin there may be a little sting, comparable to when you go swimming in the sea. Do you find the feeling annoying or unpleasant? Then a sugar scrub may be a better option. Take a look at our Sugar Scrub with Orange or Coconut Lime Scrub with sugar. 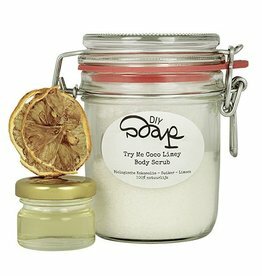 How do I make my own Dead Sea Salt Scrub? - Mix all ingredients in preserving jar, stir and ready! 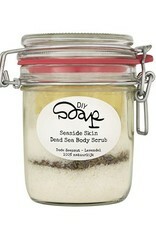 - Nothing like a relaxing day with your Seaside Skin Dead Sea Body Scrub! - After preparing, scrub has 6 months shelf life. 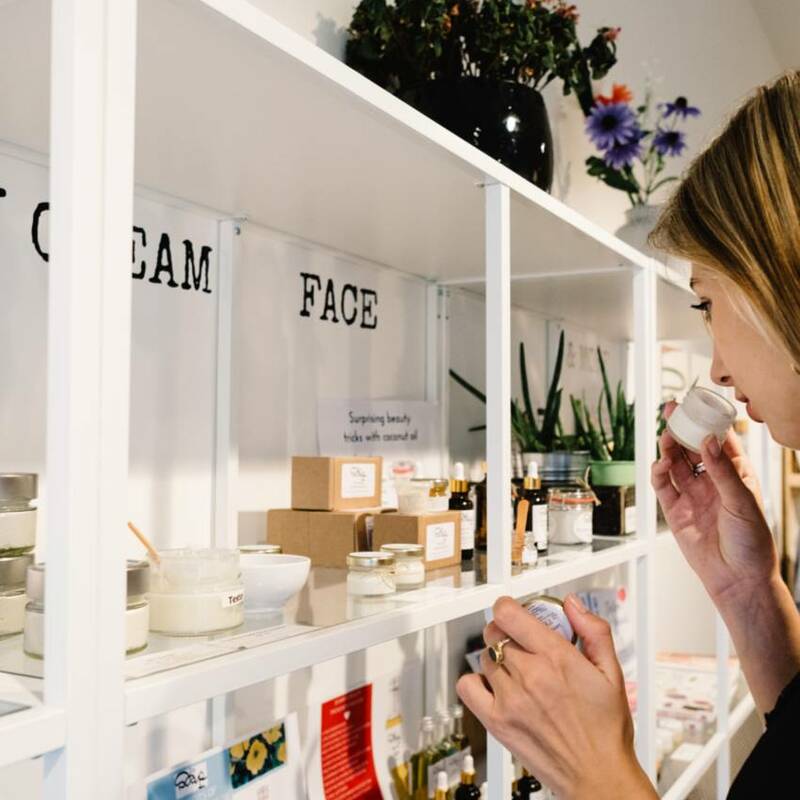 - The tray where the almond oil is in is made from corn plastic and 100% compostable. Dead Sea Salt (Maris Sal), salt (sodium chloride), almond oil (prunus amygdalus dulcis oil) lavender flowers (Lavandula angustifolia), essential oil of lavender (Lavandula angustifolia oil). 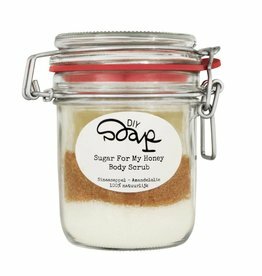 Treat your skin in the shower or bath with this 100% natural sugar body scrub. Imagine yourself on a tropical island with this Try Me Coco Limey Body Scrub. Enjoy the invigorating and caring effect of this 100% natural Love Grows Where My Rosemary Goes body scrub. 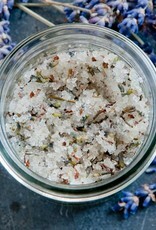 Lovely Rosemary Body Scrub with dead seas salt. Easy to take with you while you travel! Our Chocolate Rain Face Scrub with organic oatmeal and cocoa is moisturizing and calming. Very suitable for dry and sensitive skin. Bring your lips back to life and make them soft and supple. Experience how the lip scrub gives your lips a soft and well-cared-for feeling.